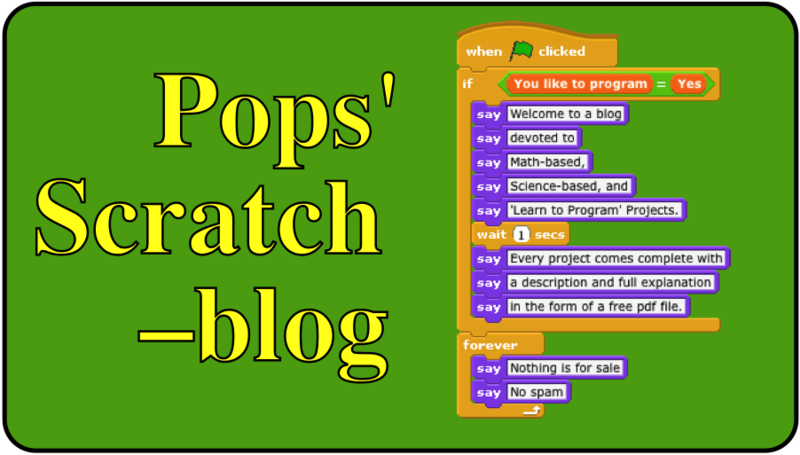 One of the goals of this blog is to provide the free pdf files I've written that discuss and explain the mathematics and programming techniques used in my projects uploaded to Scratch. Six of these files are now available. Simply send an email request to grandadscience@gmail.com and I will email you any or all of the above files. The files are free of any copyright restrictions. The links to the Scratch projects I've uploaded to the Scratch web site are also given below each title.